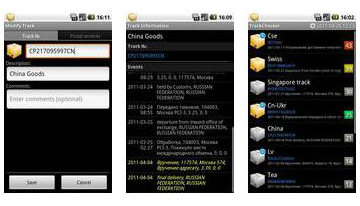 TrackChecker application will be indispensable for those Android users who frequently use the postal services or order something in foreign online stores, because most often such purchases are accompanied by quite correct question - "Where is my package?". Internet is filled with all sorts of services to track, but now this is and you have a phone! 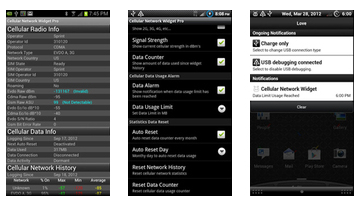 Program Traffic Monitor is a very useful widget for your android, it will provide you monitor traffic speed measurement and task manager. The program will be especially useful for those who have limited internet and every megabyte counts. 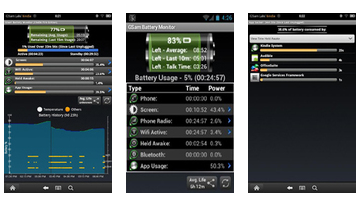 Appendix GSam Battery Monitor Pro is very useful to all owners of smartphones and not only because modern technology has become very well, greedy. Wide range of functions and a real help in saving energy, more than enough of such a simple program. 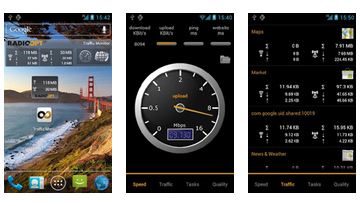 Traffic Counter Pro - consider all the traffic on your smart phone, calls, SMS and Internet. The program has widgets. SystemPanel is a multifunctional system monitoring utility. 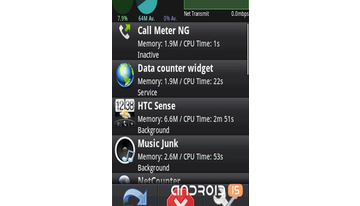 Includes Task Manager provides information about CPU usage, total memory, network traffic and so on.